Thanks to this training the RAF tanker will be able to support the British F-35s during the future transfer flight from the U.S. to their home base in the UK. 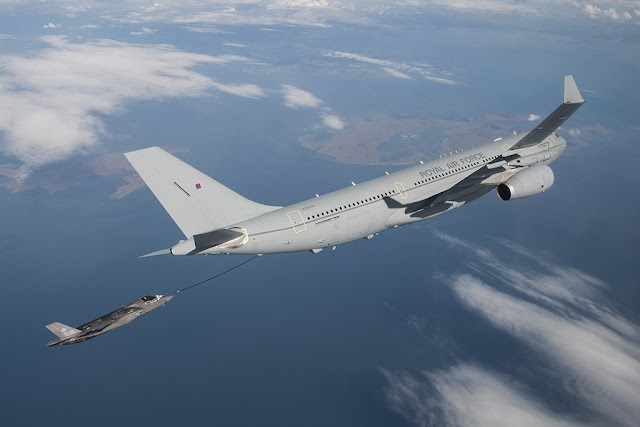 A RAF Voyager conducts first air refueling sorties with British F-35 jets. 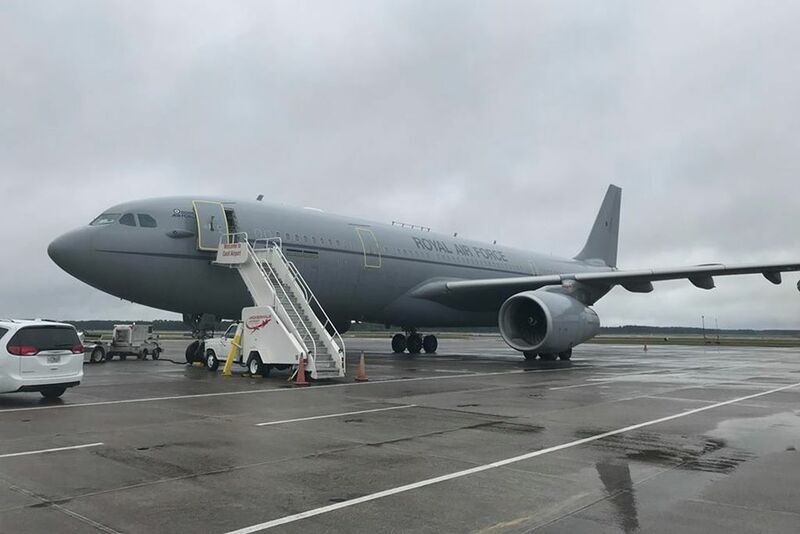 A RAF Voyager tanker aircraft belonging to 10 Squadron is currently deployed at Jacksonville’s Cecil Airport, Florida, to start air refueling tests with the RAF 207 and 617 Sqn Lightning’s based in Marine Corps Aviation Station Beaufort. The crew, usually based at RAF Brize Norton, will be conducting day and night sorties for the next few days to prepare for the return of the Lightning aircraft to their future home in RAF Marham later in the year; a logistical move that will require the 617 Sqn jets to refuel several times over the Atlantic. The Voyager obtained certification to supply the JSF during a test campaign carried out in the U.S. in 2016. The United Kingdom’s 617 Squadron began its transition from Marine Corps Air Station Beaufort to the U.K. on January 25 when an A-400 Atlas departed Fightertown with large amounts of F-35B Lightning II equipment bound for the U.K. The U.K’s goal is to achieve initial operating capability in a land-based role for the F-35B in 2018 and aboard the HMS Queen Elizabeth aircraft carrier in 2020.